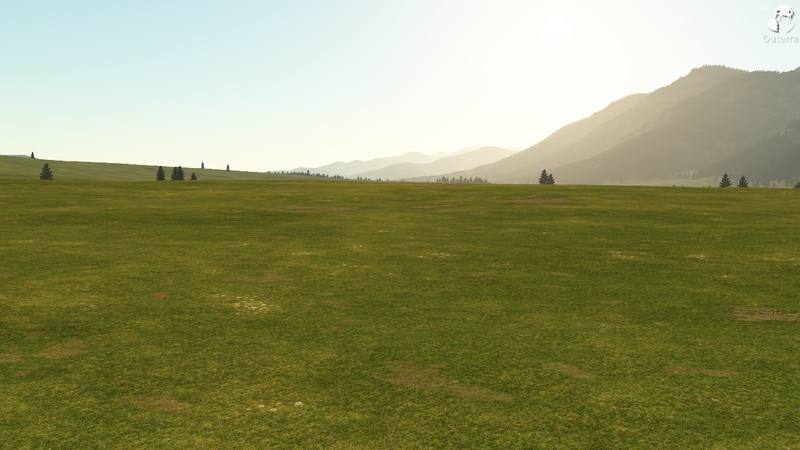 Some time ago when I was modifying how dirt roads are being generated, to achieve their better integration into the terrain, I noticed that after one operation the grass close to the dirt tracks got a bumpy look, that had a potential in it to produce a better looking low grass fields. Recently I have got to those code corners again and decided to play with it more. 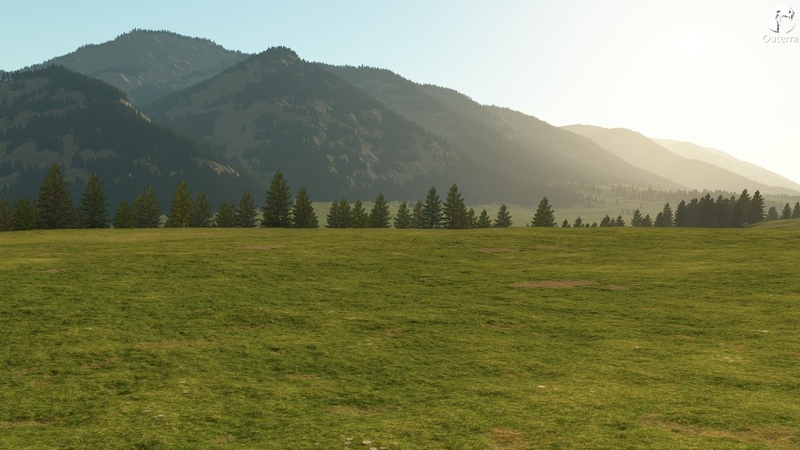 It's using fractal channels to generate the bumps, subjecting it to several treatments - the effect being smaller on some types of grass, and also changing together with modulating colors. The effect is most visible when the sun is lower, it's achieved just by normal lighting. It should be probably combined with another effect that will make it more attractive during noons - shades from grass blades, visible from the side. Of course, an important thing will be to combine it with real 3D blades smoothly appearing up close, and to apply the effect on other types of vegetation visible at distance.